By Night at the Coliseu restaurant happens 5 days of the week (exception of Sun, Wed). The restaurant offers on those nights a buffet of regional cuisine and the afro-Bahia show. It’s located in the historical centre, Pelourinho, a world heritage site. 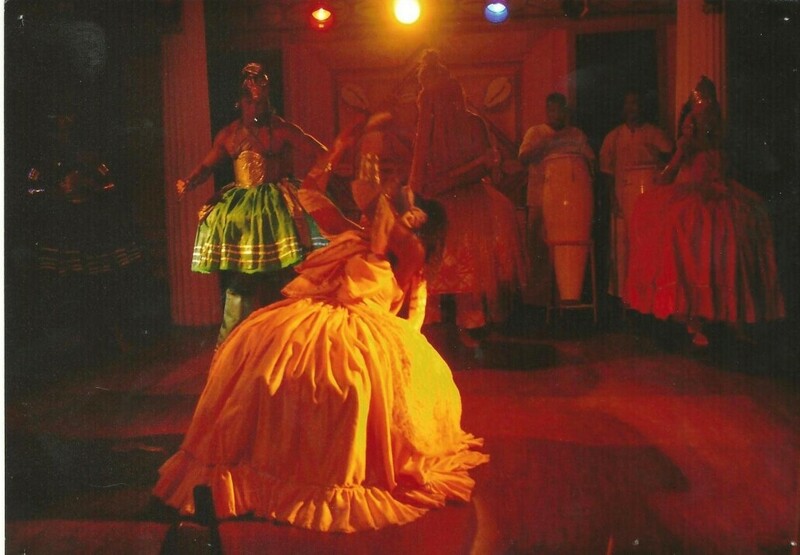 The performance starts at 8:30 pm, and takes place in the stage right in the middle of the restaurant: They show all the strong west Africa culture influence into the customs and history of the Bahia and northeast of Brazil. All that through acting and dances. 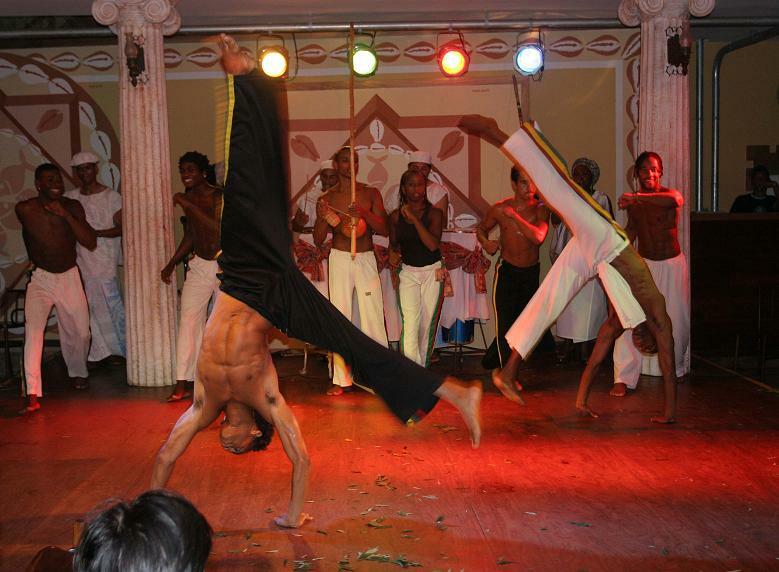 Capoeira, a pure afro-Bahia martial art and dance, and the percussion rhythms representing the heritage; The African goddess dances representing the Candomble religion and each Orixá representing one force of nature, such as the fire, the waters, the earth, etc. 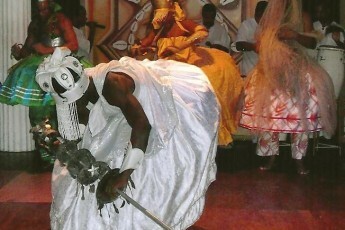 ; The maculelê dance played by long knives as the maculelê rhythm goes on the atabaque percussion, and the 2 people begin rhythmically striking the knives (slaves folklore representing the sugar cane workers); the fishermen acting for the gratefulness to the sea Goddess Yemanja (very popular in Bahia for protecting the fishers); The Samba de roda, a variety of the original samba performance, followed also by singing and clapping hands. The show lasts 1 hour. The atmosphere is full of energy and rhythm. Meet: At the front desk of your hotel in Salvador at 7pm.